① 文理学院College of Arts & Sciences. 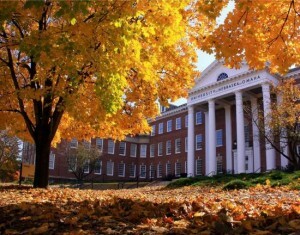 ② 商业管理学院College of Business Administration. ④ 艺术学院College of Fine Arts. ⑤ 信息和技术学院College of Information Science and Technology. ⑥ 公共事务和社会服务学院College of Public Affairs and Community Service. （3）博士专业：公共管理 Public Administration， 教育行政管理Educational Administration, 信息技术Information Technology, 犯罪学Criminal Justice, 心理学 Psychology, 工程学Engineering, 老人医学Gerontology. 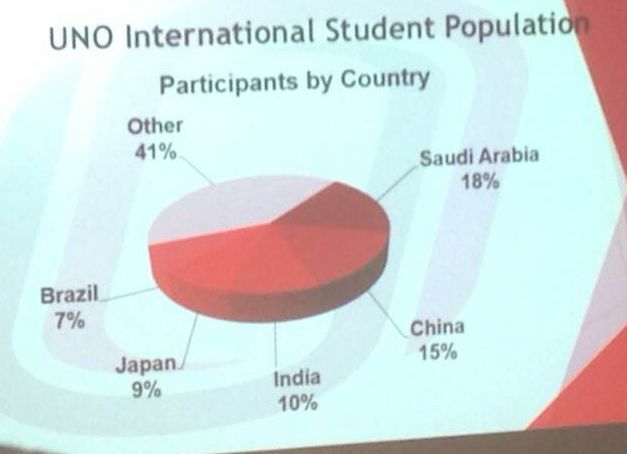 Students who do not have Internet TOEFL or Academic IELTS Overall test scores or have scores less than 61 in TOEFL or 6 in IELTS when they apply for UNO are required to join UNO ILUNO program to improve their English language skills and prepare for internet TOEFL test or UNO In-Campus TOEFL before finally enrolling in undergraduate or graduate programs and have success in their academics. Two ILUNO sessions are offered every semester that cost $4100. Each session lasts seven (7) weeks and has 21 hours of class per week. David USA will make arrangements for our students to enroll in the program. While David USA Education program students enroll in ILUNO, they can obtain Conditional Admission” to an undergradate or graduate program through the assistance of David USA Education.